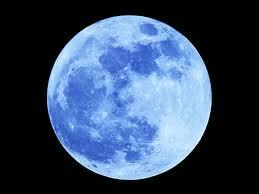 Moon of the summer Solstice. Legend: Lucky, Intoxicating, Entrancing, Mystical olde magic, Enchanted. Medicinal Qualities: Buds are a Diuretic, will calm a fever, relieve headaches, soothe stomach aches. Totem Entities: Honey Bee, Mole, Rat, Boar, Stag, Haggis. The essence of Heather is luck and prosperity, the spiritual meaning brings forward a train of thought, to be lucky, to be prosperous, to be creative. 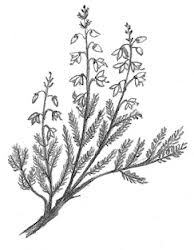 A sprig of Heather is said to bring luck and it does, the essence will enhance your aura and all those around you. Heather is representative of the moon of the Summer Solstice it is noted that it will turn a hillside or mountain side purple almost overnight, the leaves and flowers providing food for all animals. Also being the colour of the rainbow closest to earth just as a rainbow provides a step to the other world this plant also allows entry. At dawn with the sunrise the bumble bee has already collected it's pollen and heads back to its hive, using the suns rays to navigate. 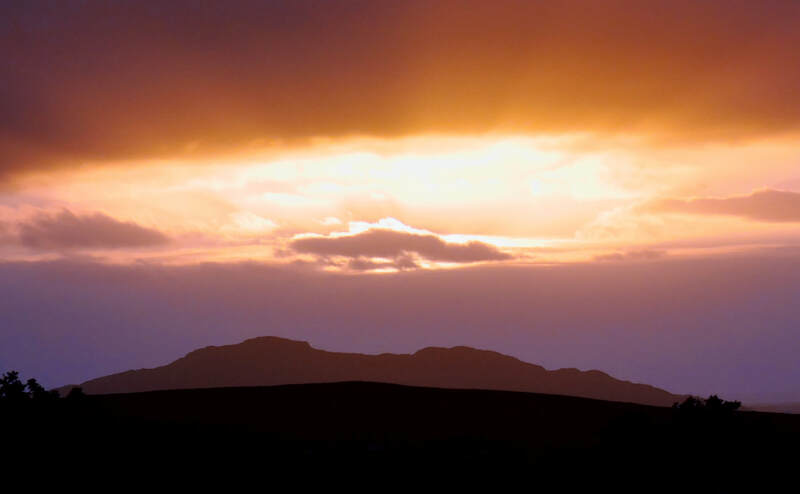 A purple mountainside, a summer moon low in the sky, a rainbow at dawn and the bees heading back to their hive, it is easy to understand what motivated the Bards and Ovates into poetry. A warm summers day spending time in Heather can be intoxicating, as hallucinations are not unknown. 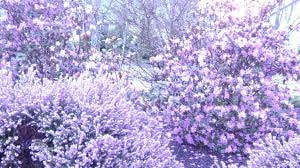 Heather flowers are the sole food for the Haggis, an animal known exclusively to the Scots people and is an essential ingredient in the recipe for Haggis soufle`. Hunted on mountainsides after the summer solstice only a skilled hunter dare attempt this most dangerous of sports, the ferocity of the haggis is like no other. The elusive Haggis has two right legs longer than its left legs and is perfectly equipped to run at great speeds up and around mountainous hillsides. A place where men are men and the Haggis are afraid, tossing the caber has unfortunately led to the demise of the haggis in recent years, perfectly adept at crossing roads and avoiding road kill but unfortunately not capable of looking up to avoid a tossed caber, also with the health and safety regulations being enforced and the traditional honey beer recipes all but lost, sightings of the Haggis have become more rare than the Loch Ness Monster. The most sacred of all plants, harvested six days after the summer solstice on a full moon with a sickle made of gold. The only people who can harvest this most sacred of plants is the Druid, only the druid understood the power and energy that comes from this plant, by harvesting after summer solstice and allowing Freya to leave and make way for Diana Goddess of eternal Love, allowing the Green Man to pass and make way the Holly King to reign This plant is too sacred for the written word, its sacred status should be spoken and passed traditionally from Druid to Ovate, to Bard. From at least the 3rd century ad it is recorded that the Celts used the mistletoe berry for fertility, and also a cure for poison. Examine the berry and you will find four black dots surrounding a central dot, this also contributing towards its sacredness. The power of the four directions centered around you. The Mistletoe adopts a host and inherits the qualities of the host, it teaches that all things are eternal and that every day is a learning day. After the summer solstice it blooms with the holly king as the trees shed their leaves, the Holly and the Ivy provide fresh growth. The Mistletoe does not hide, to look into the branches of the Beech and the mistletoe is easily seen, it populates areas and brings new life. Modern science has recently proven only in the last century that because of the new insects attracted to the mistletoe, birds and animals are attracted and that mistletoe does invigorate and repopulate areas in decline. Held in high esteem by the Druids as a sign of fertility, new beginnings and spirituality it is little wonder that it was hung above doors after being harvested and traditionally left for a year and a day before being removed and replaced. 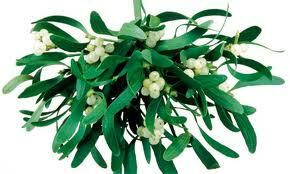 This possibly leading to the tradition of kissing under mistletoe? Any couple wanting to wed would have had a year and a day together before committing to each other, with this beginning and ending at "May day" or the summer solstice. It is more than probable that an officiating druid would have overseen the arrangement. Being evergreen it was seen as a sign of eternal life, with white berries coming with the snow it was deemed as food from spirit. Defended by the Mistle Thrush it is difficult to know which led to which being declared sacred, the thrush being a frequent defender to another evergreen berry, "The Holly." As the Owl sits in the Oak, this thrush will sit in Mistletoe leading to why it is called the Mistle Thrush.